(Left) Lace. By Yvette Lucas. Solar plate etching, 2010. Edition 8. (Right) Ecstatic Tree. By Yvette Lucas. Solar plate etching, 2010. Edition 8. 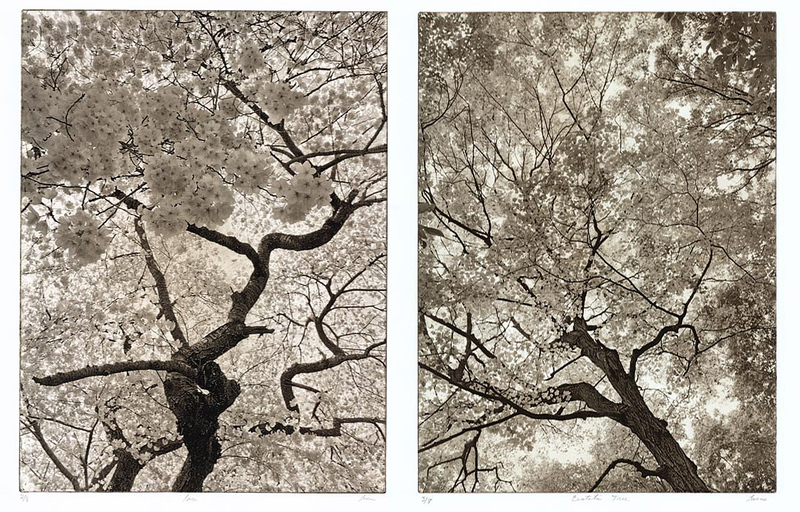 We are very excited to announce ETCHED, our upcoming OPG show of early 20th century and contemporary original etchings, which will open Friday, February 21, 2014. The gallery will host a nighttime reception that Friday, from 5-8pm, which is open and free to the public. The show will remain on view at the gallery until April 5, 2014, during normal gallery hours. Etching as a form of printmaking evolved from metal workshops of the Middle Ages, where swords, armor, and tools were all etched with acid to produce intricate line and scroll work. Daniel Hopfer, a 16th century craftsman, applied these metalworking techniques to iron printmaking plates, and was the first to use etching as a form of printmaking. Many artists were soon lured by etching’s capacity to capture the essence and spontaneity of the artist’s hand in printed form. Yellow Exit. By Robert Birmelin. 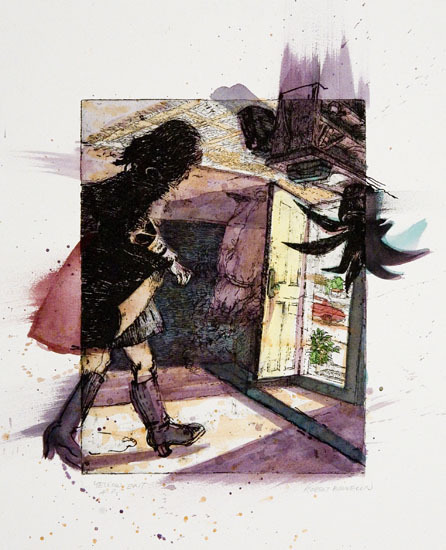 Hand colored etching, 2006. A/P. 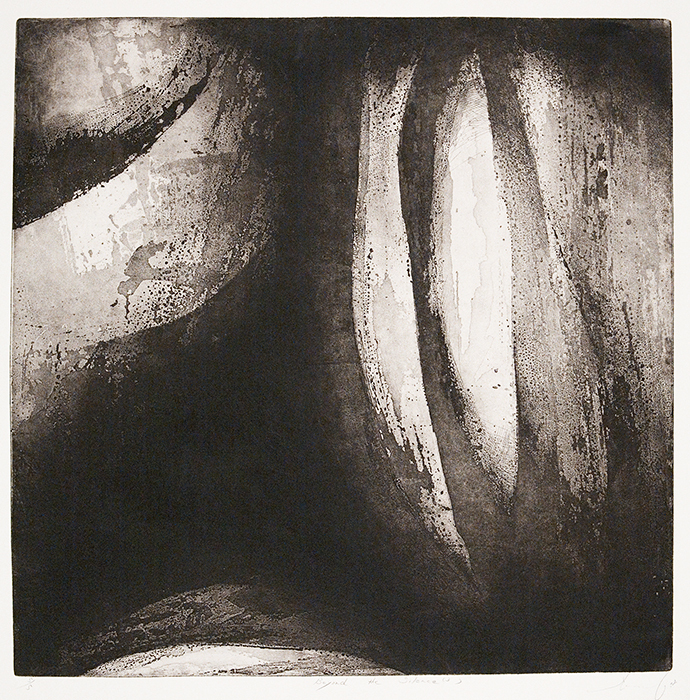 ETCHED will celebrate the long legacy of printmakers who specialize in and focus on etching as a way of image making. As the show pulls from over a century of creative expression, viewers will be fascinated by the myriad of ways an artist can use an etched line to create tone, atmosphere, and detail. The show also highlights new technical advances in etching, including multi-plate color etchings and experimental solar plate etchings. Highlights include meticulously etched architectural views by John Taylor Arms, two direct and intimate portraits by Isabel Bishop and Nicholas Vagenas, and velvety and dense lines found in works by Peter Milton and Otto Kuhler. Shadows of Venice. By John Taylor Arms. 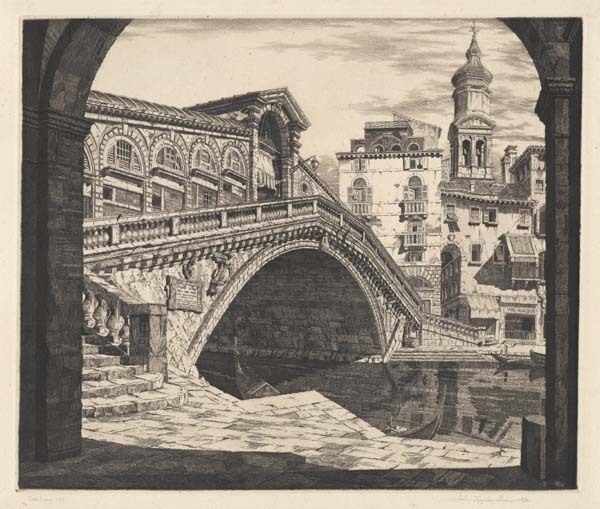 Etching, 1930. Ed. 100. Selected Artists: Sigmund Abeles, John Taylor Arms, Frank W. Benson, Robert Birmelin, Isabel Bishop, Richard Carleton, Arthur Cohen, Robert Cook, Joseph Essig, Takuji Kubo, Otto Kuhler, Yvette Lucas, Charles F. Mielatz, Peter Milton, Ellen Nathan Singer, Joseph Pennell, Susan Pyzow, Nicholas Vagenas, Hank Virgona, Bruce Waldman. Construction Worker. By Nicholas Vagenas. 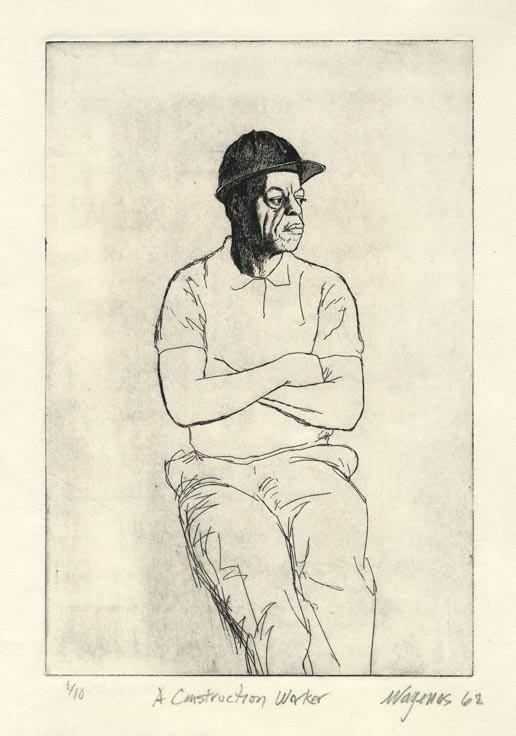 Etching, 1968. Ed. 1/10.